This year’s election has gathered so much attention. From social media to apps and even games that highlight both Donald Trump (R) and Hillary Clinton (D). Whether you are voting for “the Donald” or if you are pursuing the possibility to see a (1st time ever) female president as your next POTUS then voting this year is very important. Regardless of which choice you decide to take, Google wants to help you make it without feeling lost. 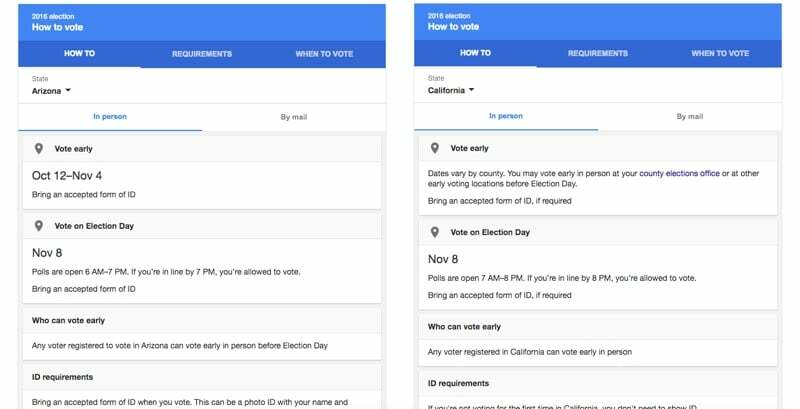 Google has decided to roll out their very own “state-specific” voting guide along with the various search results. Because of this, you now have no excuses as to what the voting process is in your state and what are the requirements and deadlines for your state. So far the search engine notes that millions of users have used that tool provided and that searches for “how to vote” have drastically risen up to 190% which is much higher when compared to the results from 4 years ago (of course the internet’s population usage has risen vastly within the last four years as well). 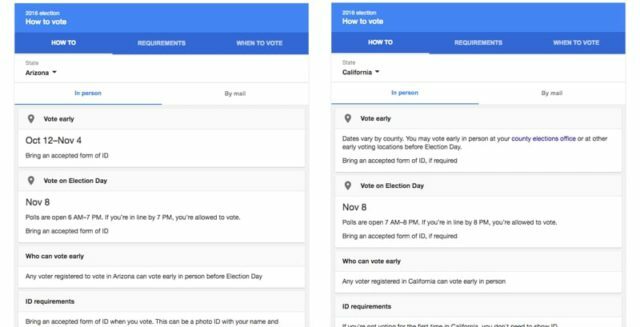 Google’s “how to vote” and “voters registration” searches will be open to the public so anyone can use it and their built-in guides. This is so that local non-profit and organizations that already promote voter education can benefit from this information and possibly reach out to more that haven’t decided to vote, and those that want to but are still uninformed. If your non-profit or organization is interested in this critical information, you’ll have to fill out a 2016 Voter Registration and Voting Requirements Access Request Form to gain access. 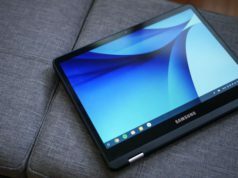 VIAGoogle - "How To Vote"